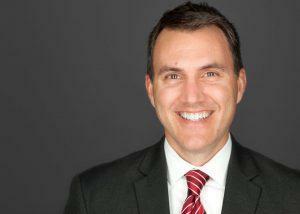 Hi, I'm John Reh, your Facebook Ads guide. And I'm here to help you with your Facebook advertising. If you're feeling like using Facebook advertising is confusing, hard, too expensive, or just plain not worth it. I understand. I was there once, too. But, I figured it out. And it changed my business (and, to some extent, my entire life). If you're wondering if Facebook advertising can help you and your business, rest assured. It almost certainly can. It's just a matter of matching the right message to the right audience at the right time. I love helping people use the Facebook ads platform to communicate their message to millions of people whose lives would be better if only they knew you existed. Facebook reaches every corner of the globe where your future customer could possibly exist. And it happens to also be the most powerful advertising platform in the history of the universe. Nothing like it as ever existed before and so it's often hard for people to grasp how it works and what you can do with it. It's so influential, so radical, and so dang powerful, I think that's why it's so confusing to people. For me, I was definitely confused for a long time. I started using Facebook advertising back in 2011. Back then, I was basically pushing buttons to see what would happen. I had some success here and there with ads, but ultimately I was spending more money than what I made back from the ads. It was frustrating. I did all my own Facebook advertising experiments on my own businesses. This is where I learned the basics of how to use the platform. But, just doing the basics doesn't generally cut it with Facebook. Not if you want to really make it work for you to the fullest, anyway. To really be successful, you need a clear understanding of both the creative side of making the ads themselves PLUS the technical side of how to best use Facebook's insanely powerful targeting and broadcasting systems. I was lacking a few critical skills that were limiting my success. After a while of this, I finally gave up and said "Facebook advertising doesn't work." If only I knew then how close I was to actually being successful. Part of the reason I gave up on these ads was because I thought the platform was lacking a few key features that would really be game changers if only they were possible. Well, in only matter of about 6 months, the features I was looking for were all added. So, I came back and gave it another try. And, boy, am I glad I did. It changed everything for me. Not only did I start being more serious about my ads and tracking results, but I also got training. I would say I got the best training in the world, actually. 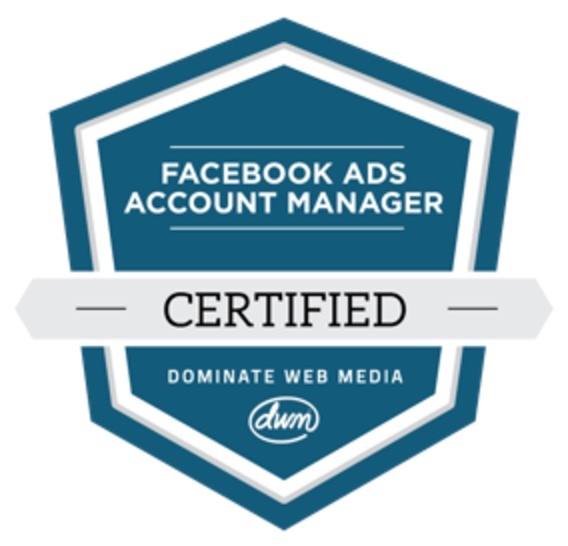 In fact, through that training, I am now one of only about 10 people in the world certified as a Dominate Web Media Facebook Ads Account Manager. Having the proper training combined with years of experience has made all the difference. Facebook advertising is now fun because I know how it works and why. And, when you know those things, you can get great results. This platform is infinitely fascinating to me. It requires creative strengths which fit in with my many years working in television advertising. It requires a thorough understanding of strategy, which fits in with my undergrad and MBA degrees in advertising and marketing and 20+ years of business ownership experience. And it requires technical know-how, which is a fit for my years of internet marketing experience. I love helping people to use Facebook to their advantage. Whether they're going through my training or having me do the work for them, it makes me smile when they see the results that they get. And that's the best part of all. Copyright 2019 by Social Tipping Point.